Back in 2012,Selwood Equine was an idea borne from a family’s love of riding and owning ponies. With three children all interested in riding and competing, Selwood CEO Andrew Beard decided to diversify into the equestrian clothing market. 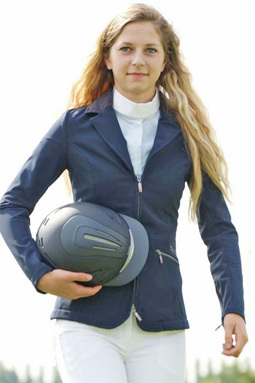 “Finding great value competition clothing for riders proved tricky. So we decided something had to change!”. Selwood moved therefore towards stocking leading riding brands at competitive prices. The Selwood Equine goal is to bring you clothing that looks and feels great, at affordable prices, for the passion you love. Sold by riders for riders, our knowledge is key to sourcing and recommending the best products for you. For over six years now we have been supplying clothing for riders of all disciplines. From grass roots to grand prix, we believe everyone should feel and look great when riding. Selwood Equine is, in itself, our own riding and casual wear brand. Designed and finished in the UK, our range is comfortable, stylish and practical. Our stylish brands have products such as Breeches, Show Shirts, Show Jackets and Coats for all year round riding and casual use.